The main idea of the Horror Movie Campout is to become immersed in a horror movie. Take it from someone who knows; this dude doesn't play around. That's a fear smile right there. 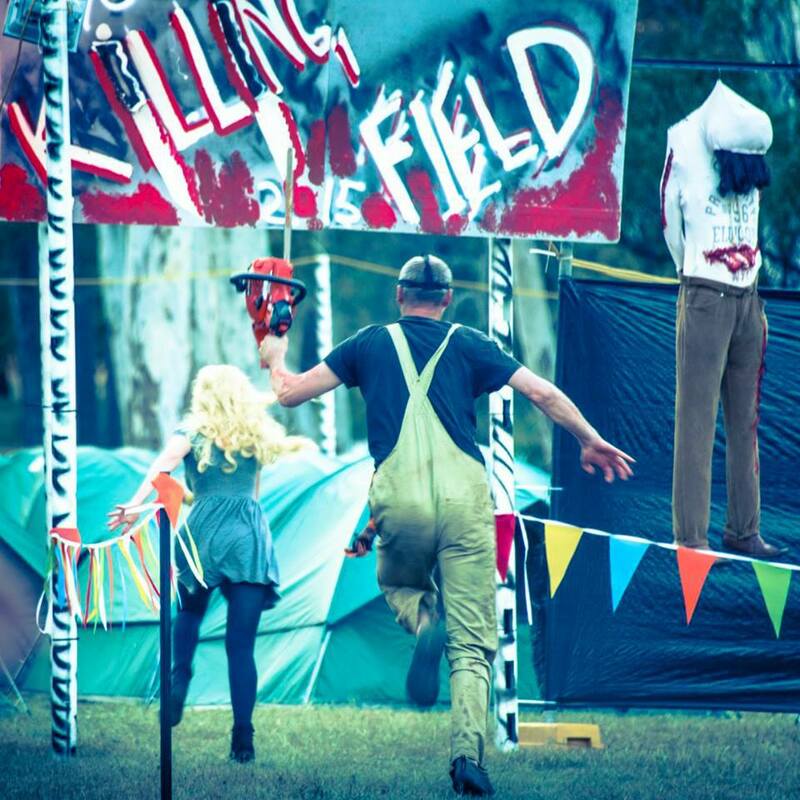 4:00 - 9:00pm: The event starts; as immersive scare actors roam the site, live music from Destrends, Batz, Burning Bridges (Triple J Unearthed), and DJ Savage rock the main stage as guests brave the 'death chamber' scare maze and compete in the 'Escape Cage' challenge. 9:00pm (approx. 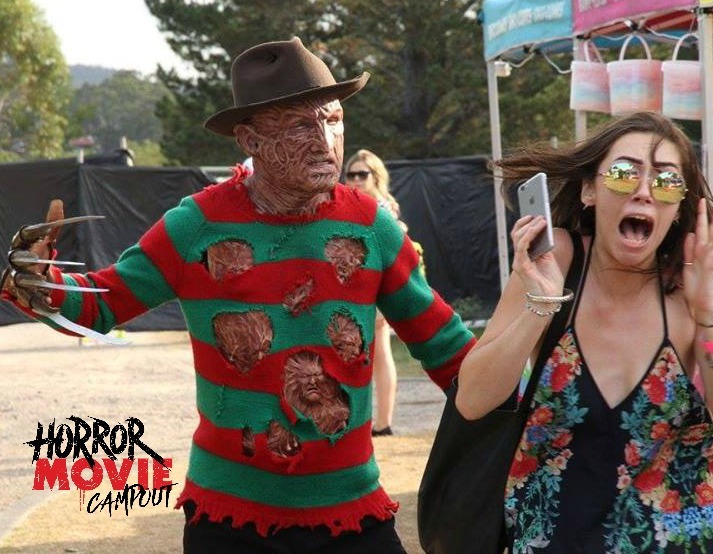 ): Once night falls, campers gather around the glow of a projection screen for a horror movie marathon, featuring flicks decided by an online vote. 7:30am: coffee and breakfast available. - Bring cash for the bar and food vans (EFTPoS is limited). - Bring a roll-up mattress, swag, sleeping bag, pillow, and low cinema chair (even if you have a Lazy Camper package). - Don't be that horror movie character - bring a torch. - No Pass-outs are available. - Tickets need to be printed for scanning; showing a ticket on your phone does not count. - You cannot BYO alcohol. - The HMC is a strictly NO ID = NO ENTRY event. - Remember it's Melbourne and there's always a chance of rain. 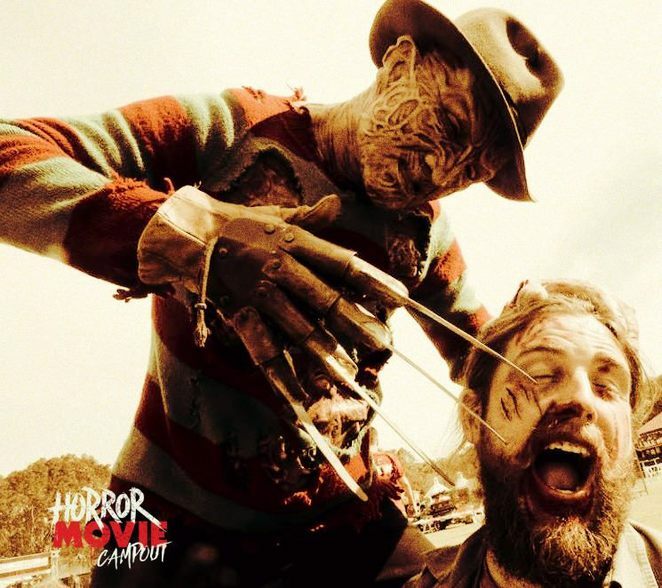 - Makeup artists are on-site for gory makeovers - so you don't have to spend that much time getting ready. - You can dress-up but you can't bring any real weapons. - Full festival access for one person. VIP "Lazy Camper" Package ($134.95) - in addition to your event ticket(s), the Lazy Camper package is perfect for any person or group who tend to suffer from tent-construction related anxiety/rage. Each package includes 1 pre-constructed dome tent (2100 x 2100) for your overnight stay and V.I.P reserved seating in front of the outdoor cinema. 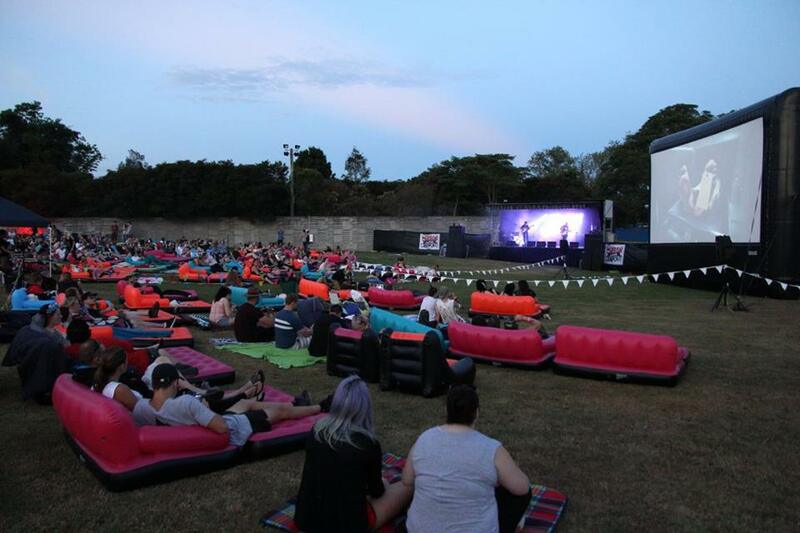 Please note both the event and lazy camper ticket purchases require attendees to bring their own camping mattress/sleeping gear and cinema chair. 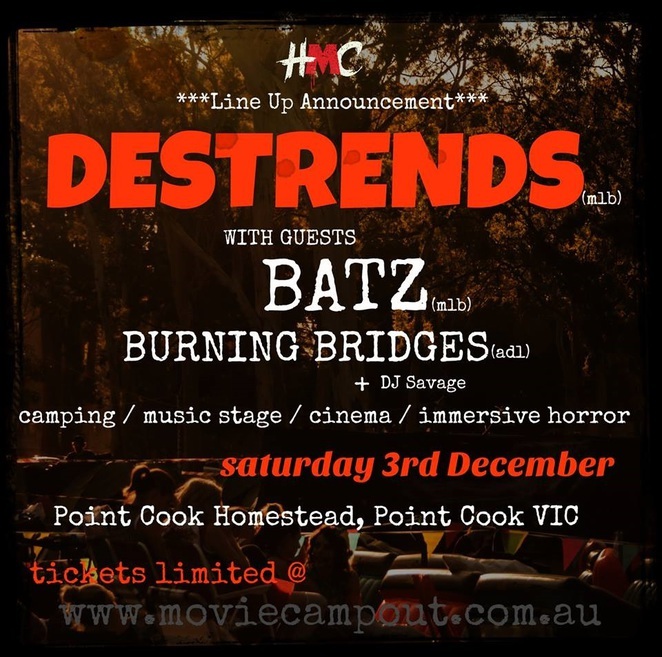 Book your tickets online here, or see the Horror Movie Campout's Facebook page for more information. Why? Ever wondered if you'd survive a horror movie? When: The entire campout event runs from 4:00pm, December 3 until 10:30am the next morning. Cost: Event tickets first release: $93.95. Event (last minute): $113.95. Lazy Camper Package (for 1-3 people): $134.95. No ID = no entry, no refunds.